Ultimate Introvert Vacation Escape: Chernobyl Deserted Inn | Come on in! Ultimate Introvert Vacation Escape: Chernobyl Deserted Inn – Come on in! Good news for people who enjoy exploring the world beyond the hallway to their bathroom: Travel tours for introverts are currently the quiet rage. Still, introvert travel packages can’t shield you totally from exposure to talkative, friendly Midwestern couples telling you where to find the cleanest restroom at the Coliseum. Are you looking for the total introvert vacation experience? 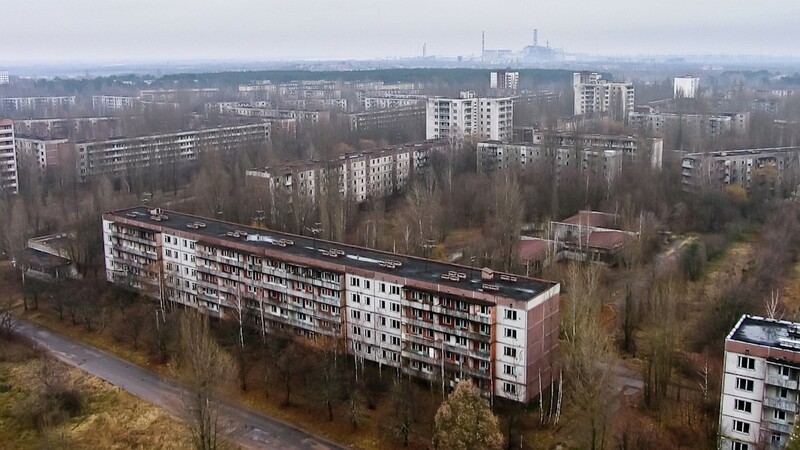 Consider Chernobyl Deserted Inn located off I-95 in Ukraine. Forbes Travel Guide rates it below the Fukushima Motel 6 but slightly above the New Jersey Turnpike Exit 5 rest stop men’s room. Feel everyday worries disappear the second you enter the nuclear contamination zone. The first thing you’ll notice is total silence – and the two-headed elk. Don’t worry, even the half-men half elk won’t bother you with needless conversations or invite you to a party. The Deserted Inn staff couldn’t be friendlier since there isn’t any. Choose one of 500 rooms. We recommend one that still has a door and a working lock to keep out the hungry bears – particularly the two-headed hungry bears. There’s plenty to do and see in Chernobyl including the Plutonium, the Safe Energy of Today Exhibit (no waiting), Uncle Ivan’s Glowing Wax Museum (no waiting), and the birthplace of circus oddity, Sasha, the half introvert, half extrovert woman (no waiting). Make reservations to see Chernobyl now. You only have 20,000 years until it’s inhabitable again for humans and extroverts.